For whom? For a sound and rhythm passionate. For all of those, who are interested in culture and musical traditions, music therapy, as well as in discovering a new ways to connect with each other, express joy and communicate non-verbally in a large group through a rhythm and music. The workshop is intended for professional musicians, music educators, or those who work with body or dance. Beginners , who would like to start they journey with music and drums are also very welcome. All beginers and more advanced are wellcome! 2. The rhythm. Nature of rhythm and traditions. 3. Basic technique for playing. 7. Usage pause in a rhythm. 8. Play a few traditional rhythms from Middle East. Early bird registration till 1.03.2016 is €… (or … with your own drum (chcek below what type of drum we need). After that time the price is €…, if there are free places and instrumnts are left, because the number of them is limited. To reserve a place and instrument, please apply via mail and transfer…€. For those who bring their own frame drums (it must be a frame drum without jingles, for playing with fingers, and should produce clear sound you when struck at the rim) the price is less for €… . it must be a frame drum without jingles, for playing with fingers, and should produce clear sound you when struck with your finger at the rim, from 14 till 20 inch ( cel) size. Please, notes, when having made the payment you should not be able to come to class, you can either transfer your fee to another person you know, who didn’t register before. Place: Lotos Yoga Berlin. Address – Mainzer Strasse 21. Berlin. U- Samariterstasse. is Russian and lives in Poland. She is a performer, musician, traveller, educator, cultural animator, musical therapy and voice yoga enthusiast as well as the founder of Poland’s 1st school of the frame drum and rhythms of the Orient called TAKITA. Xenia is also interested in philosophy, practices of the body and mind, as well as the principles of nature and other phenomena in society. She loves nature and endorses a holistic approach to life. 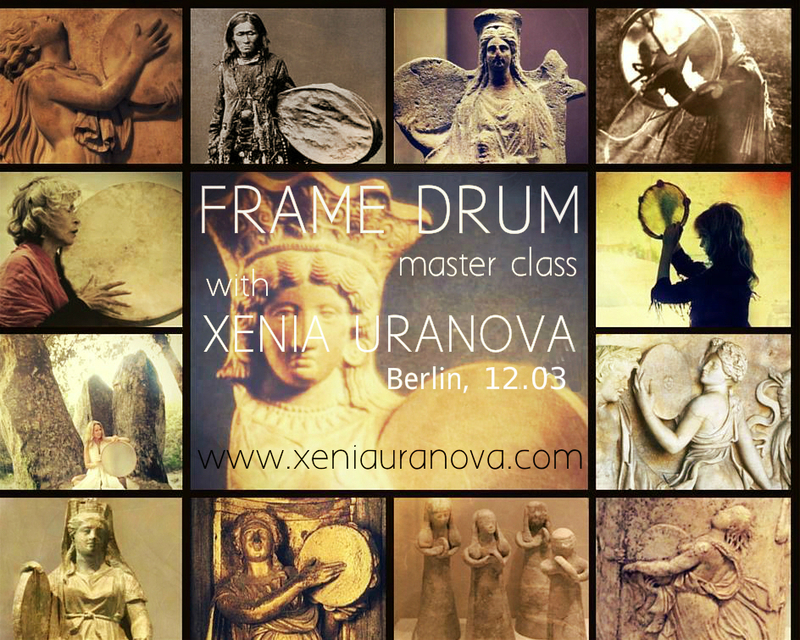 Xenia’s biggest passion is one of the oldest, archetypical instruments on Earth- the frame drum. She learned about rhythm and music from world renowned drummers- masters of drumming from Israel, Iran, Turkey, Africa and India. She played in a traditional music ensemble on the island of Crete and took part in Ross Daly’s “Labyrinth Music Workshops”. 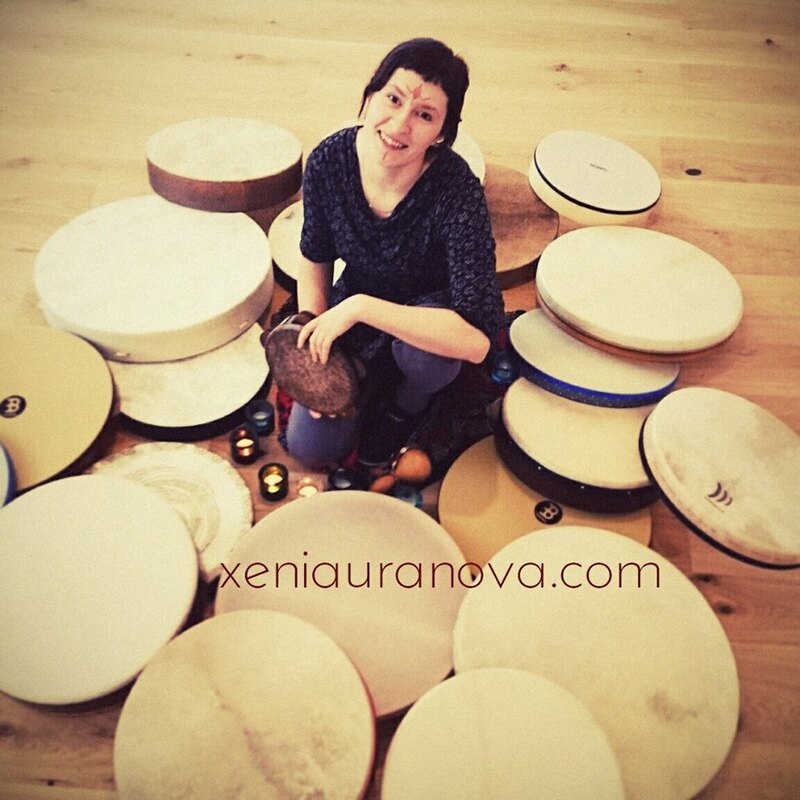 Xenia is part of some projects and also plays during spiritual meetings, ceremonies and mediation sessions. TAKITA: is an innovative fliting School of the Frame Drum and Rhythms of the Orient, founded by Xenia Uranova in order to share the experiences, knowledge, abilities and competencies she has gained concerning the nature of rhythm and world musical traditions, as well as the techniques of frame drumming. Xenia employs alternative methods in teaching rhythm and using elements of vocal yoga. She conducts workshops, trainings, and intensive outdoors sessions, drumming circles, sound meditations and musical sessions. She has conducted many workshops in Poland, Russia and Germany. Her workshops take place in yoga centers, at alternative knowledge conventions, musical schools, self- developments festivals and multicultural events (as well as other places with an interesting ambience).